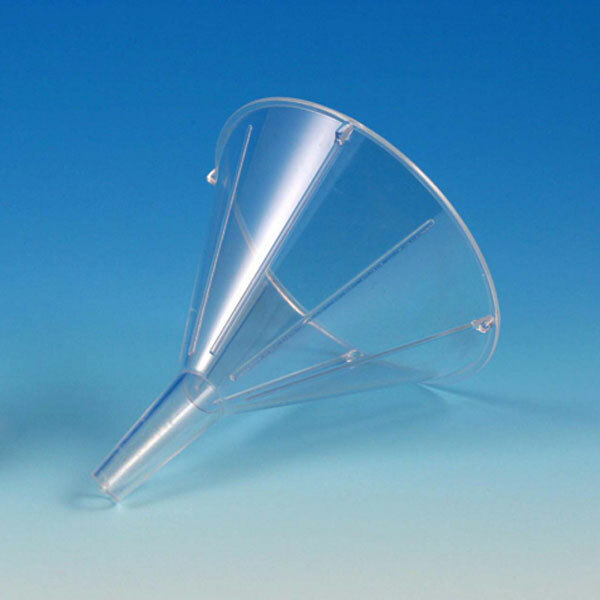 These economical disposable funnels are available in either transparent polystyrene or translucent polypropylene. They are lightweight, have reinforced rims and inside fluting. They are tapered at a 60° angle. Available in 55mm and 65mm widths. Available in Polystyrene (PS) and Polypropylene (PP).